Bruin has never fit in with his kind because the bears hate him for something he can't control. 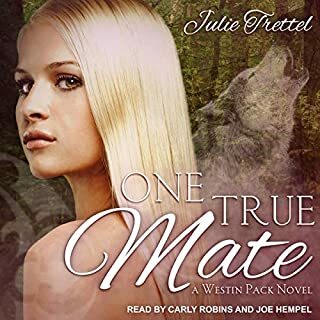 The wolves like him OK, but now that his wolf BFF is mated, Bruin prepares for more lonely days and nights...until he meets a female so "purrfect", the sight of her breaks him. But is she already taken by another? Willow turned 25 this year and waits patiently for an angel to come and claim her, based on her mother's scattered recollection of the experience of Willow's conception. But when a sweet and massive man steals her heart instead, she decides she's not going to wait around for destiny any longer. This book was fairly solid, though I felt the mother's role was totally dropped. To go from a person who was so absolute in what she believed to remember that she kept her daughter from ever leaving Serenity, to someone who suddenly pops up at the wedding ceremony with a thumbs up and "great catch" look felt completely off. Other than that, it was a solid read/listen. Michael Pauley did a wonderful job, as always. And I audibly squealed when I heard that Troy was getting a book eventually. 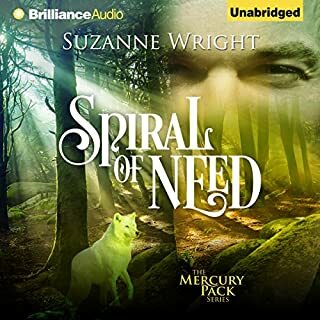 I have been rooting for Lisa Ladew to figure out how to give the two "non shifting" wolven their own story of adventure and romance. So yay! BruBru finally gets his book!!! Ever since we met Bruin way back when I have fell in love with him. He is one of those characters that don't come off as strong as other characters however just the way he is and his personality makes you fall in love with him. He is so sweet and kind and just basically a big old teddy bear. I'm so glad that Willow was his heroine in this story. She is the type of woman that Bruin needs in life. 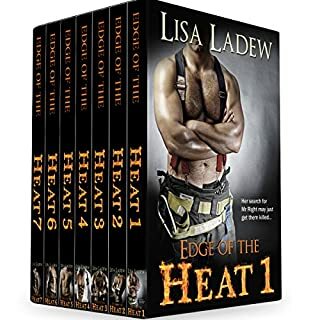 In Lisa Ladew's One True Mate series all of the heroines match with the hero perfectly. Bruin and Willow fit perfectly well in the series. Unlike the other heroines in this series Willow had a pretty good idea of what she was and also a pretty good idea of what her future would hold. She knew what her powers were and accepted that she was different. She knew that she would not end up with a regular guy, however she thought she would end up with an Angel. Bruin was her angel so that worked out in the end. I also loved that Mac was there for Bruin throughout the entire story. Mac had a brother but his brother ended up dying. Bruin has Brothers however they shunned him because of somebody very close to them. I am so glad that Mac and Bruin found each other and became Brothers. I think without Bruin, Mac would not be the character that he is and vice versa. As always, Michael Polly is just phenomenal. I love his voice and I love his enthusiasm when it comes to narrating a story. He is one of those few narrators that commits to everything he speaks and everything that he does. I honestly just love him as a narrator and I hope that he continues narrating and like I said before I will try to listen to everything that he's ever narrated so far. 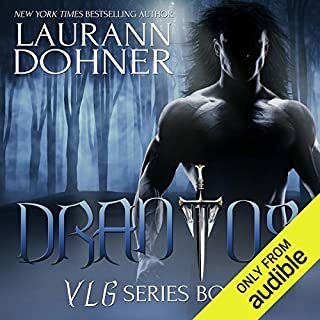 This is another great book in the series and I cannot wait to continue with the other characters. I'm really looking forward to Trent and Troy books and I want them like yesterday. This is my favorite book in this fun series. I’ve enjoyed the evolving story line. It took 3 try’s to get through book 1. The narrator was so bad he sounded like a machine was reading. By book 2 he was doing better. By this book he’s got the narration down packed. I absolutely loved this book. No games lived the maturity of them. Thank you for a great book. I thought that the story line would be lame because the female lead was too sweet, I was wrong. she is strong. this book made me literally laugh out loud several times. Love Bruin and Mac's relationship! OMG, this has to be one of the best overall books I've ever read. I enjoyed all of the characters and the interactions with between them! Absolutely did not want to put it down until completed. I love this entire series, please continue! I'm loving this series. I can't wait to listen to the next one. I'm so glad I can listen to them. I think Bruin is one of the most loveable characters in this series. With that being said, I'm happy to see him finally get his mate. Before getting his story and his history, I never really thought I would be interested in him as a main protagonist. But he's such an easy character to like. I was happy to hear about the Bearen. If you follow this series, then you know about the lore surrounding the shiften, Ren, and Khain. The author finally explains why the Bearen lost their renqua, Bruins exhile, and why Willow is so important. There is also another appearance from the mysterious Leilani. There was definitely a big change in momentum in the end. I can't wait to see what happens next. It's been great 'reading' more about Bruin's past, which we find out nearly at the end of the book, but heck seeing how the buffling sweet & caring giant bear shifter. So we meet genteel Willow the co owner with her Mother, of the Bee Hive Cafe & Honey owner. perfect for each other as they're both protectors with their different abilities. Willow is able to read minds but also to calm the sad strong negative energy. These two were made from each other. But we see not just their connecting of meeting & Union. But we see the birth & labour of Willow's Sisters & the part She takes part of the birthing even before meeting the pack of the extended new family. So I won't say anything else apart from that.